Warning! All tube amplifiers contain lethal voltages. These voltages can be lethal even after the amp has been unplugged from a power source. Before you touch anything inside the amp chassis, it’s required that all capacitors are discharged. 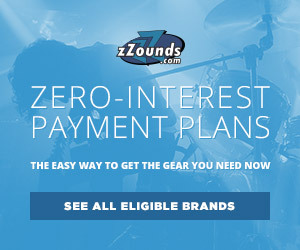 Consult your local amp tech before attempting to service or replace any components. 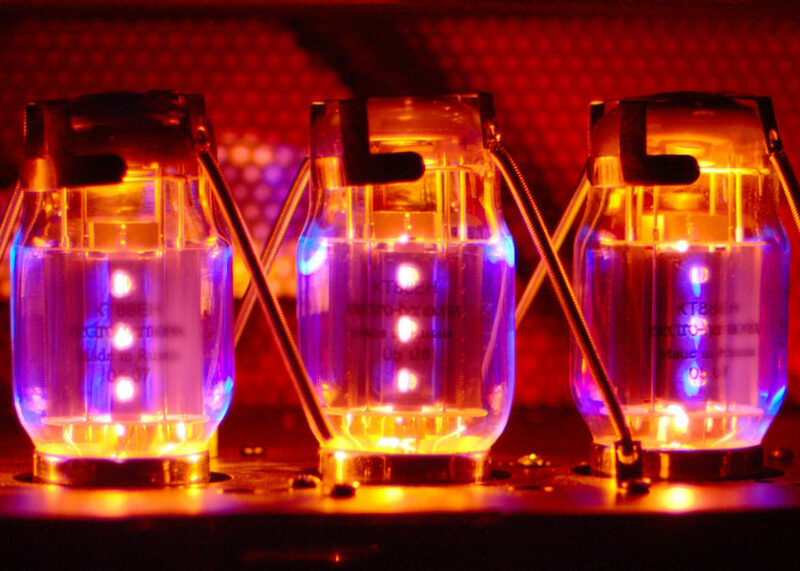 As you gaze lovingly into the warm glow of the tubes in your favorite amp, you may wonder: “What exactly do these glorified lightbulbs have to do with powering my amp, let alone shaping my tone?” The answer to that question is: “a lot.” Each type of power tube, whether EL34, KT88, 6L6 or otherwise, has drastically different characteristics and can be a big influence on the overall sound of your amp. First off, it helps to have an understanding of what a power tube is and what purpose it serves in the functionality of an amp. Essentially, a power tube is a device that acts as a valve to control the flow of electricity through an amp. A tube does this by passing electrons between a part of the tube called the cathode and another called the plate. 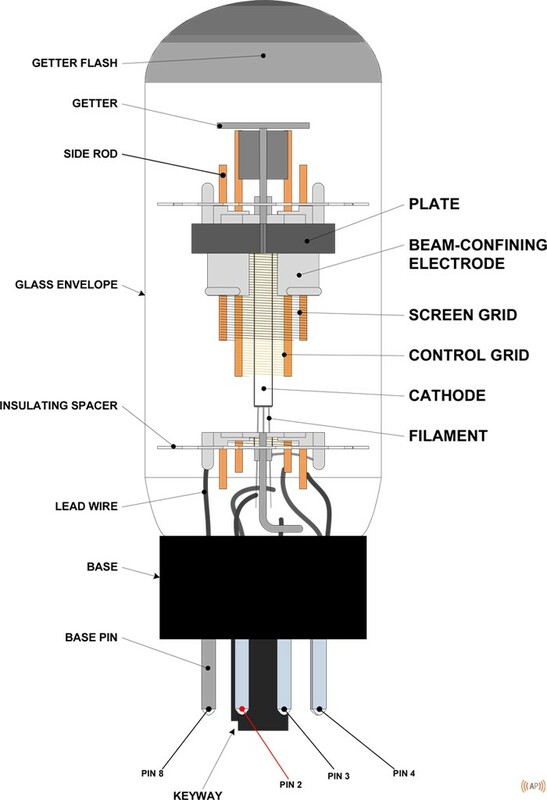 Cathodes and plates are standard components of every tube, but the construction and additional components included in different tubes can lead to nuances in their sonic character. Most power tubes fall into three standard categories: tetrode, pentode and beam. In addition to a cathode and plate, tetrode power tubes also employ a control grid and screen grid. These two extra components are standard and allow your amp to be put on standby by removing plate and screen voltages, keeping electrons from flowing, yet keeping the cathode warm to enable instant current flow at the flip of a switch. A beam power tube takes the tetrode model up a notch by adding beam-forming electrodes which increase the power conversion efficiency of the tube. While the breakdown of power tube components and electron flow is all very riveting, as guitarists, we’re mostly concerned with tone. Here’s a breakdown of how a few common tube types sound, what type of amps they’re normally found in, and what applications they’re best suited for. Originally introduced in 1950s Europe, the EL34 tube is synonymous with the sound of late ’60s British, high-gain Marshall amps. Its lean, mean low-end response can stand up to high wattage and is easily overdriven, providing a nice crunch and distortion. Commonly, EL34 tubes are designed to fall under the pentode category of power tube construction. The 6CA7 and KT77 are among the most ideal replacements for the EL34. The 6CA7 is the American version of the EL34, and sometimes uses beam power construction instead of pentode. A 6CA7 in place of an EL34 can deliver even more defined low end as well as increased headroom in most situations. 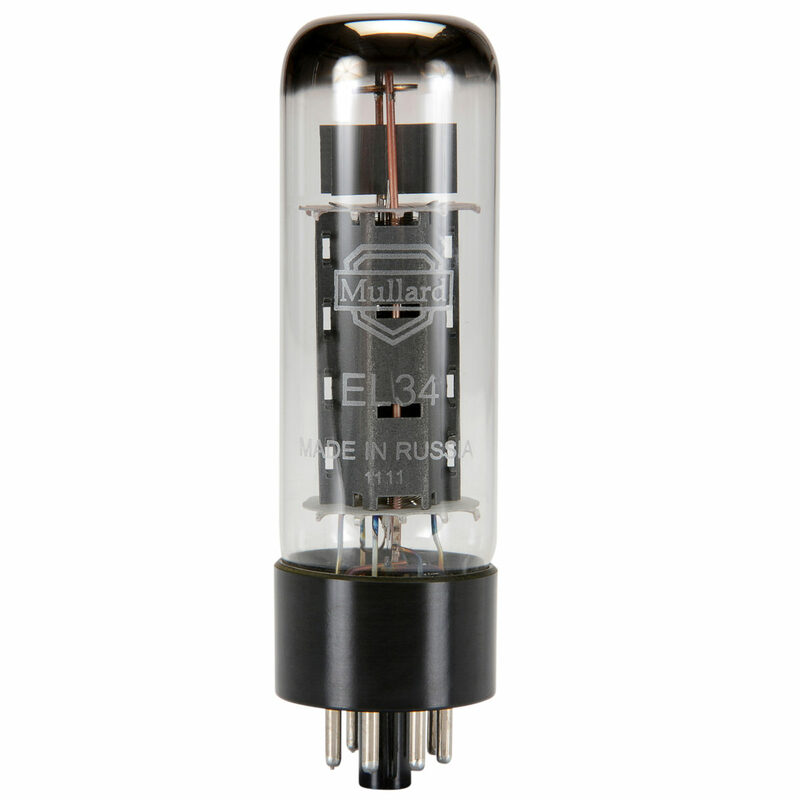 If you’re going for the true rock ‘n’ roll sound of an overdriven Super Lead Plexi, EL34 power tubes are a good place to start. Made in the good ol’ USA and introduced back in the 1930s, the 6L6 was initially used in radios. 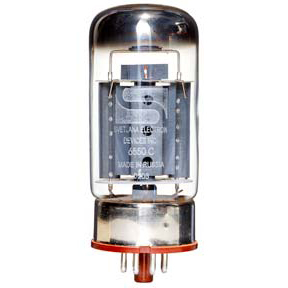 Over the next few decades, many changes to this popular radio tube were made, resulting in several different designations before finally resulting in the 6L6GC, introduced in the late ’50s. 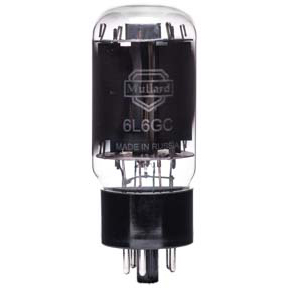 With its superior power handling and increased efficiency, the 6L6GC ended up being the primary 6L6 tube designation made by most manufacturers and is now essentially synonymous with the name “6L6.” The 6L6GC represents the epitome of the American rock ‘n’ roll sound, commonly found in Fender amps like the Bassman, Showman and Twin Reverb. This is a power tube that’s not easily overdriven, making it a great choice for amps that need to stay loud and clean as a good platform for pedals. The general tone of a 6L6GC is a fat, punchy low end with articulate mids and high-end chime. When you do get a 6L6GC to break up (which takes a lot) you’ll get a tight overdrive. Another European tube, the EL84 was introduced as an affordable option for hi-fi stereo systems. Vox’s iconic AC30 combo amp famously uses a quartet of EL84 power tubes, making them the hallmark of the British Invasion sound. The EL84’s pentode sound is very focused, delivering a bright, clear tone with all kinds of high-end sparkle that’s easily overdriven into a tight distortion. 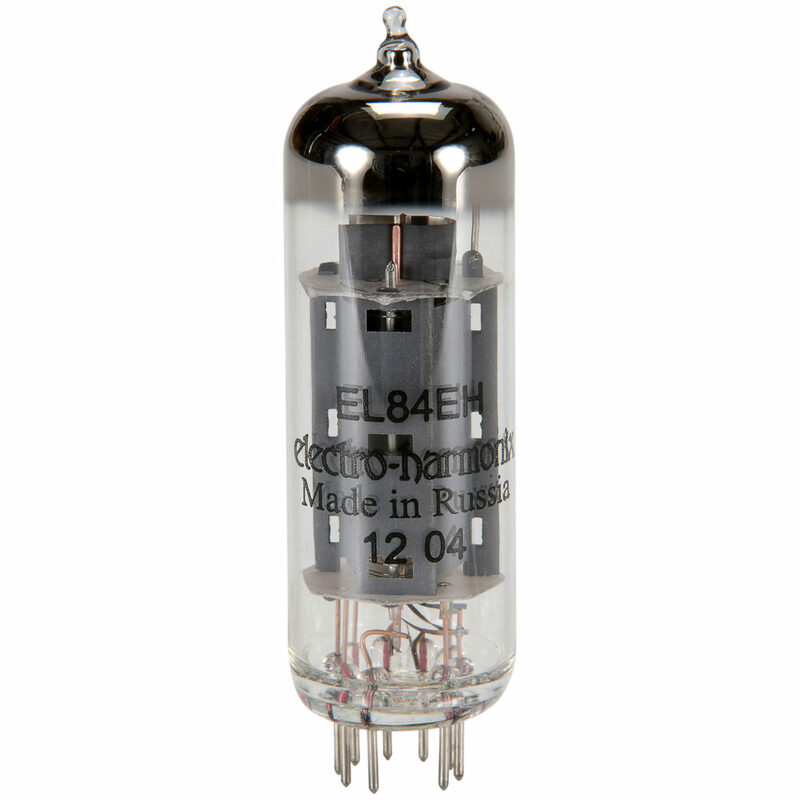 EL84 tubes are your best choice for lower wattage amplifiers thanks to their quick breakup and bright sound. With less low end than an EL34, you’ll get more snarl, characteristic of the Vox sound. Most commonly used in bass amps, and best known from the Ampeg SVT, 6550 beam power tubes are known for maintaining clean headroom at high volumes. While their use in production guitar amps isn’t especially common, 6550 tubes can go a long way in cleaning up the tone of a high-wattage guitar head. When used in a guitar amp, 6550s sound tight, bright and powerful and can be pushed for a slight overdrive. 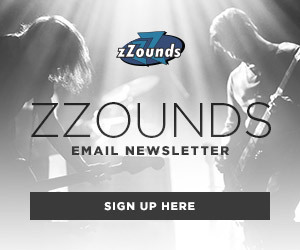 For this reason, they’re popular among heavy pedal users and players who would rather emphasize the preamp distortion of their amp. The KT88 is a common surrogate for the 6550. Similar to a 6550, a KT88 leans toward having a rich harmonic response with a very defined low end and a tendency toward plenty of clean headroom. 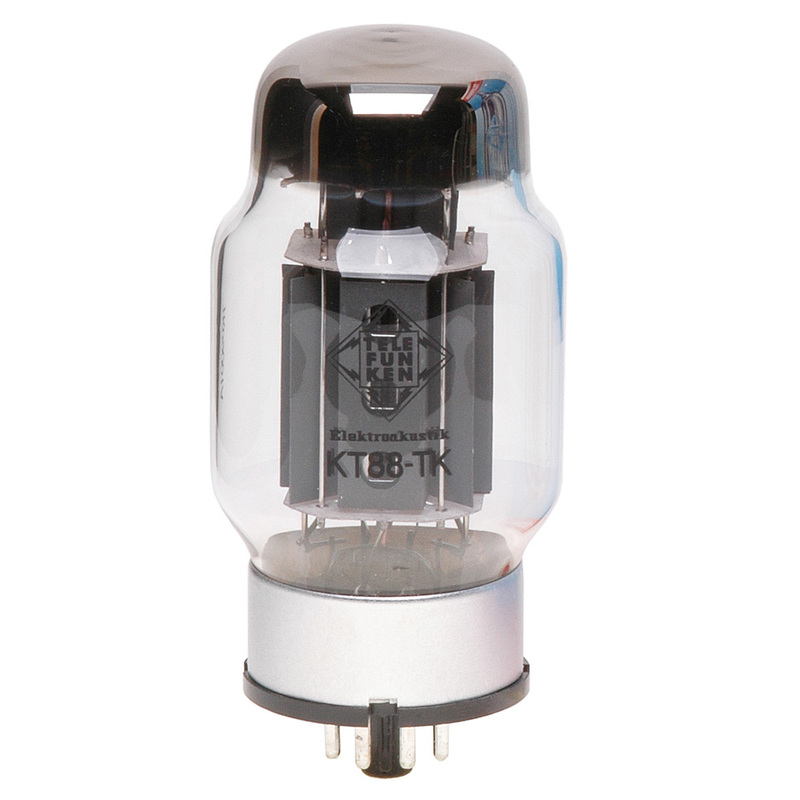 Popular for use in high-wattage amplifiers, a pair of KT88 tubes tops out at around 100 watts with only around 2.5% total harmonic distortion, which gives them about twice the output as a par of 6L6 tubes and all kinds of headroom. Again, players whose rigs revolve around the use of expansive pedalboards will appreciate the headroom that KT88s can offer, especially when combined with a high-wattage head. Had a number of low wattage tube guitar amps for home use and sold them all. The solid state amps like THR do better with tone and keeping neighbors undisturbed. I found this to great info but will a el34 plug into a 6L6gc plug ?